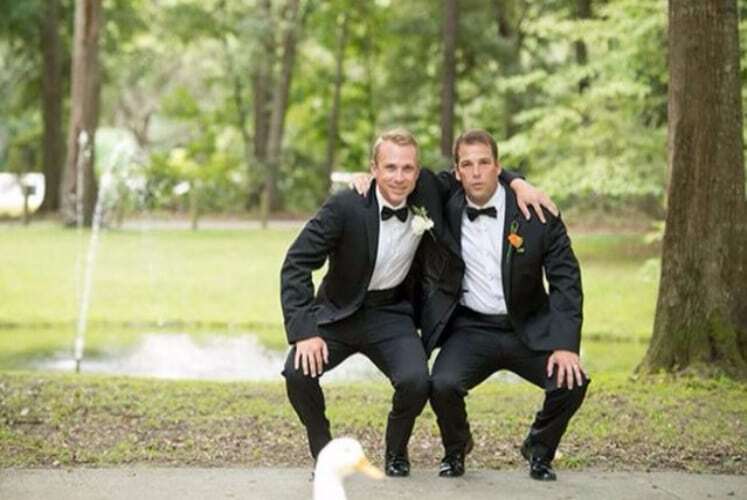 Instead of “Cheese,” the two men shouted, “Duck!” after a white goose came into the picture. No worries though, the focus is still on them. Here is another cute photo bomber. The pooch lying on the floor with its head poking through the side looks so adorable. He looks so tired from all this wedding stuff. 8.) An Interruption By A Magician? 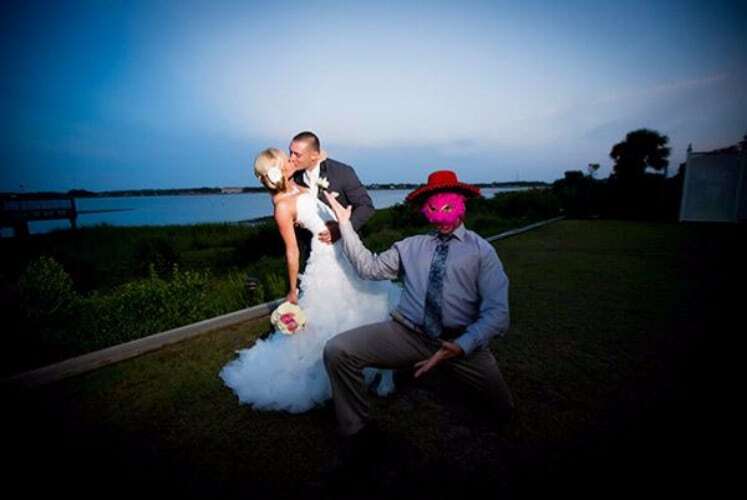 The couple is not letting the man in the mask ruin their perfect wedding picture. Even though the guy is right beside them doing a crazy pose, the newly wed still shared a kiss. Here we have a man and his kids who hilariously took the spotlight while the groom and bride are expressing their vows. The guy looks like Jason Statham in action! 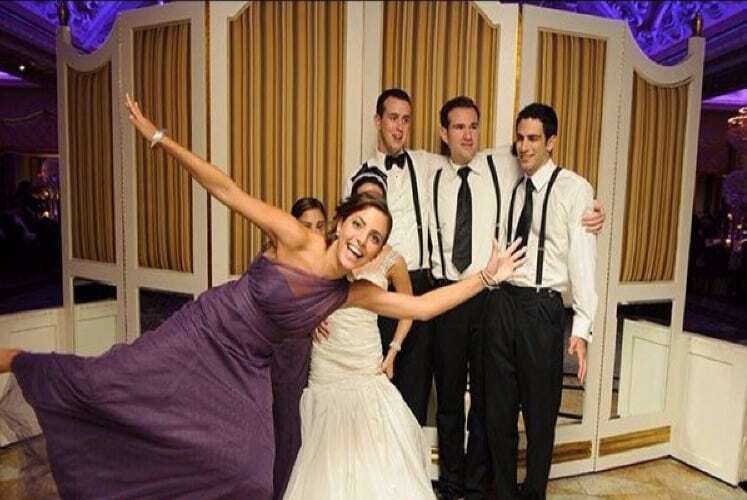 I guess you really don’t have to spot where the bridesmaid is since she already took the spotlight in this picture. She even covered the bride sitting behind just to make sure is clearly seen.